Last week saw a bunch of beautiful women and one handsome stud bonding, giggling and enjoying themselves at the launch of the ‘Teen Ladies’ from Ladies v/s Ricky Bahl. 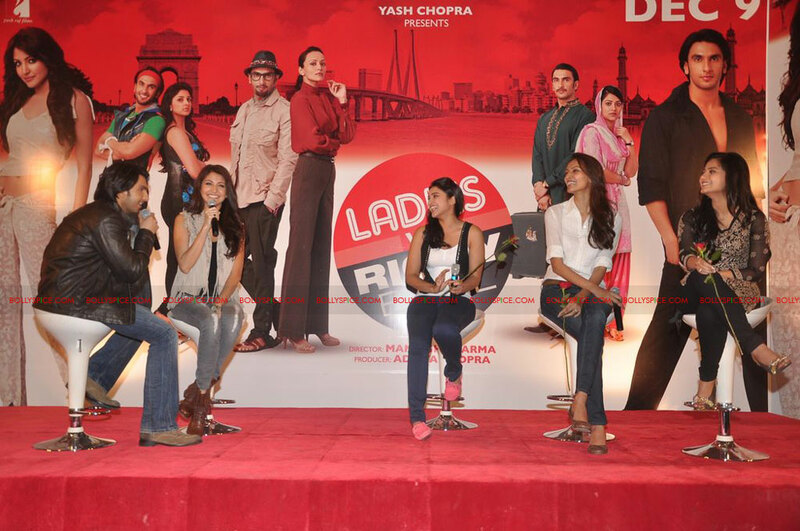 The event was anchored by none other than the stars of the movie! Gorgeous Anushka Sharma and the charming Ranveer Singh took over the stage and the media to introduce the ladies and talk about their experiences during the making of the much anticipated movie. The ‘Teen Ladies’ and the lead protagonists – Anushka and Ranveer – very clearly share an awesome chemistry off-screen, and was abundantly evident at the launch. With the movie release just around the corner, let’s hope to catch the same magic and chemistry on-screen on 9th December 2011. 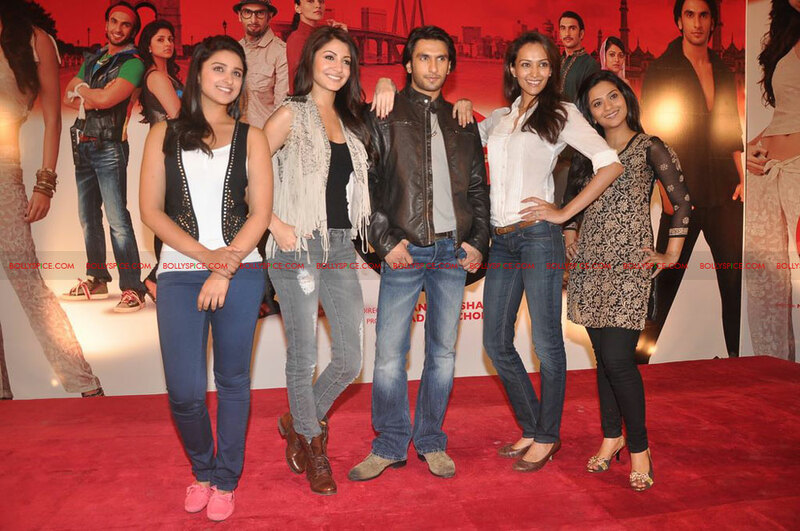 Parineeti Chopra plays Dimple Chaddha, a brash 19 year old college girl while Dipannita plays Raina Parulekar – a no-nonsense Mumbai corporate woman. Aditi Sharma is a shy, sweet, hard-working widow from Lucknow named Saira Rashid.